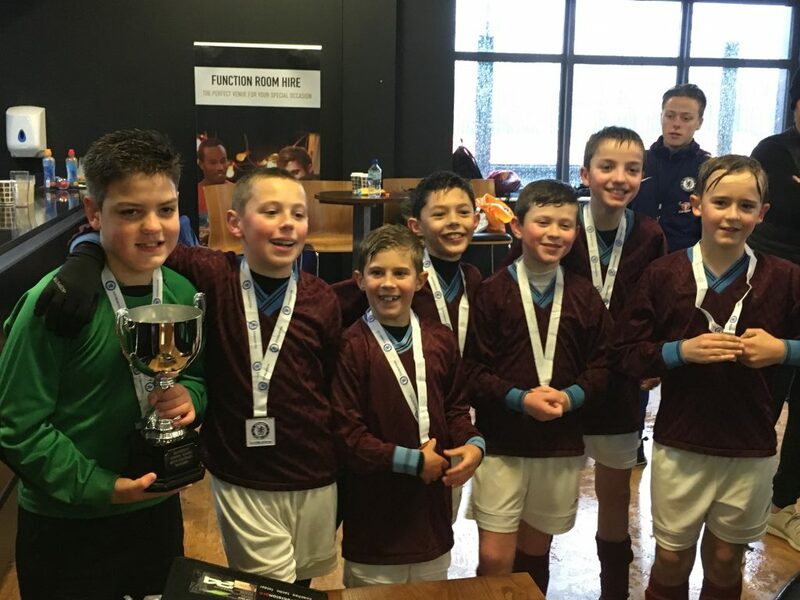 On Wednesday 24th January 2018, our Boys/best football competition was held at Playfootball, Romford and despite the weather forecast being particularly gloomy, the rain held off for most of the day, until the finals! Thirty four teams entered the energetic competition, which saw over 400 people in attendance! Chelsea Foundation FC did a fantastic job of managing the competition, refereeing the games and keeping it all to time. The school games values for the event were passion and respect. Selected by the Chelsea staff, passion was awarded to Scargill, Harold Court and Mead for always giving it 100%. Respect was awarded to Oasis Pinewood, Upminster Junior and James Oglethorpe for treating others politely and with understanding. Quarter finals were played as Squirrels Heath Junior vs Harold Court, St Joseph’s vs Upminster Junior, RJ Mitchell vs Gidea Park Primary and St Mary’s vs Towers. Semi finals were played as Squirrels Heath Junior vs St. Joseph’s and Gidea Park Primary vs Towers with St. Joseph’s and Gidea Park Primary progressing to the final. Both finalists will go through to represent Havering in the Chelsea schools tournament. Congratulations to St. Joseph’s for winning the competition. The team will now progress to represent Havering at the London School Games finals in March. Photos of the event can be viewed via our Primary Gallery page.